This is my newest favorite flower. The bright colors just shout spring. They would be equally cute on an infant, an older girl or an adult. 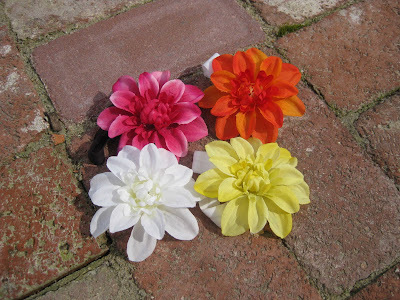 These flowers can be made as hair clips or as a headband.